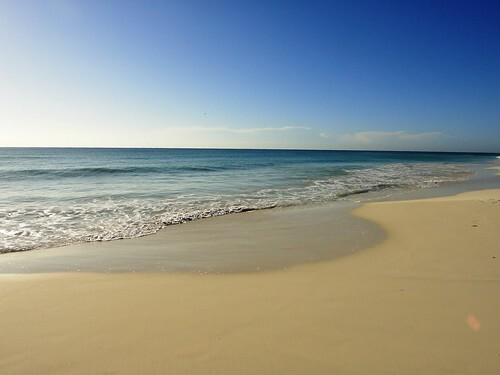 One of the Yucatan’s biggest draws is the promise of an endless summer in one of the most desirable locations on earth. The mesmerizing coast line offers a mixture of Mexican tradition, Mayan history, and a blend of the Western comforts from home. 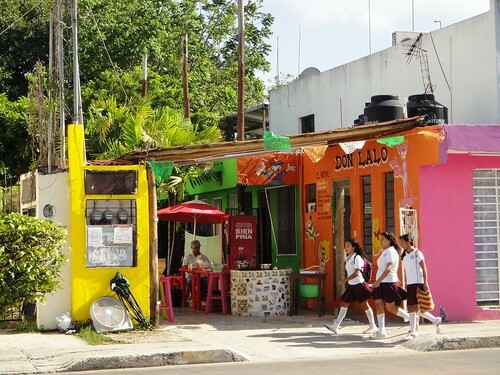 Playa del Carmen is deservedly one of the top tourist destinations in the Yucatan Peninsula and in all of Mexico. The idyllic beach setting – soft pearly sand and striking turquoise waters – has thousands flocking to the Riviera Maya every year. Playa continues to grow to accommodate its visitors. 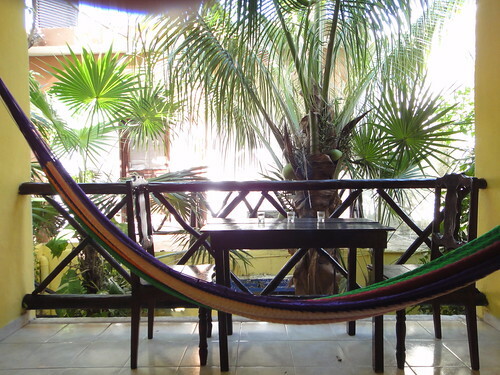 An increasing number of North Americans purchase beachside homes upon visiting Playa del Carmen on vacation. Even Europeans are making the long flight over the Atlantic to spend their holidays in this Mexican paradise. We wanted to live by the beach and chose to spend one month in Playa del Carmen enjoying a lifestyle we could never afford at home. Renting a humble studio apartment on 5th Avenue just one block from the beach has been surreal. We’ve felt like we were really living abroad. It was nice to experience regular life – grocery shopping, our clothing on hangers, searching for work, even a consistent group of friends. I got the luxury of buying a few new clothes to dress up for the evening events and Harry had a chance to finally use his new beard oil and cologne. 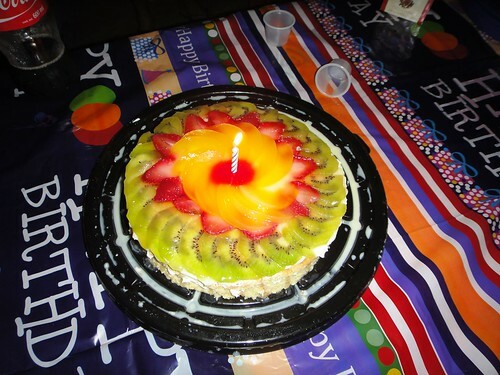 We went to a house party which is very rare in a traveler’s life and also had a small celebration for Harry’s birthday. Harry spent his mornings jogging along the shore while I lounged on the sand planning my new website. We made home cooked meals that we enjoyed on our balcony every day. Lazy days were spent napping on our hammock and crazy nights were danced away at one of the countless nightclubs on 12th Street. Like Cancun, we wandered around and tried to find the more Mexico side to this tourist wonderland, along with its food. We only walked a few blocks past 5th Avenue to discover another more local world. One of the major benefits about spending a month in Playa was that it gave us a chance to settle into our new lifestyle: exploring the world at a slower pace. We were able to reflect on our purpose, how we want to travel, and where we want to travel. While we want to be by the beach, it’s too soon for a holiday from our trip. We want to travel and explore before settling down somewhere and relax, let alone begin a job. With that being said, our plans changed yet again. We decided to put mainland Mexico on hold for a few months. Mexico is “easy” to travel and we wanted a challenge – chicken buses, no English, a lack of Western amenities. So we began plans for our journey to Central America.